One of Belfast's biggest festival has announced it will return to Boucher Road Playing Fields on Saturday 25th August 2018. The hugely popular Belfast Vital will see international stars take to the stage. Tickets go on sale this FRIDAY at 9am - more details below. The World’s Number 1 DJ MARTIN GARRIX will play at the BELFAST VITAL festival. Garrix will be joined by very special guests: dance music icon STEVE ANGELLO, Swedish singer and songwriter ZARA LARSSON and explosive new popstar Loop on August 25th – the last Saturday of the summer! 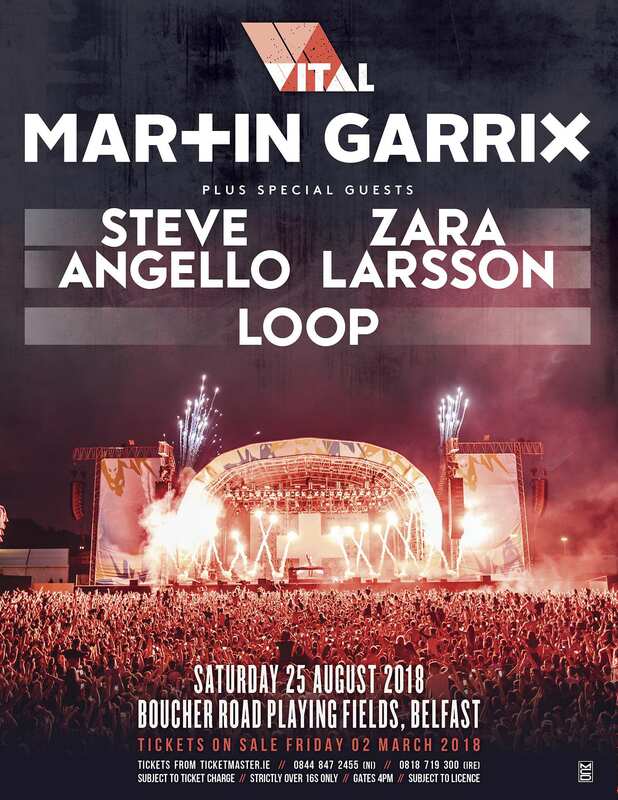 Do not miss MARTIN GARRIX with very special guests STEVE ANGELLO and ZARA LARSSON when they return to Northern Ireland on Saturday 25 August.